In the aftermath of the Civil War, a major north-south railroad route was deemed vitally important. 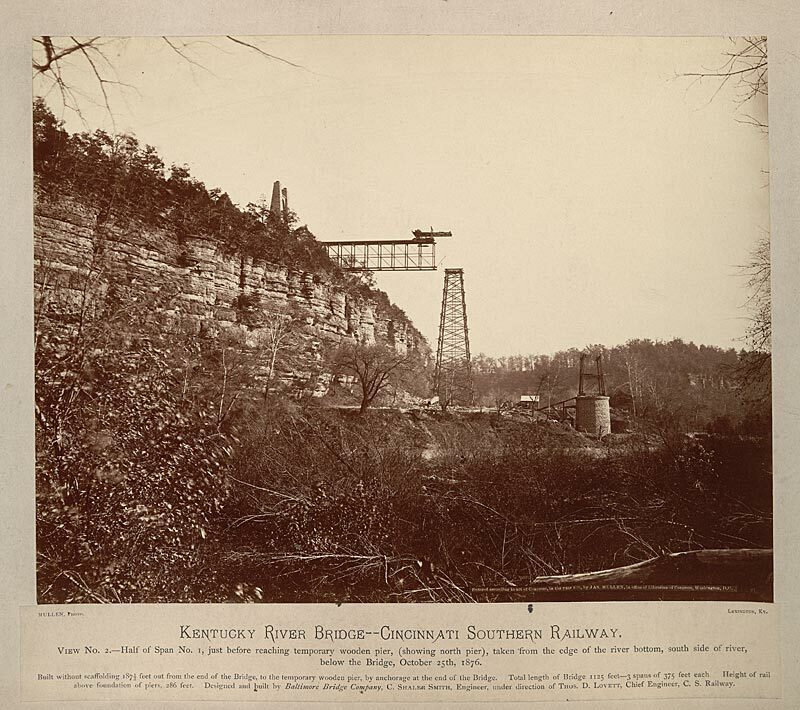 The Cincinnati Southern Railroad picked up where the defunct Lexington and Danville railroad had left off. 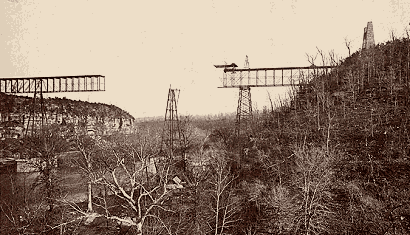 A new cantilever bridge was designed by Charles Shaler Smith to be built at the same location as the previously planned suspension bridge. 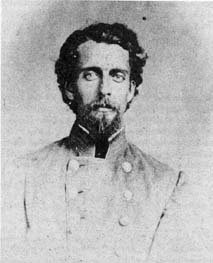 Shaler, as he was known, was an engineering officer in the Confederate army during the Civil War. He designed the Confederate Powder Works in Augusta, Georgia. Following the war, he became well known as the foremost American engineer of the day. His Baltimore Bridge Company, a partnership with Benjamin and Charles Latrobe, boasted of creating 13 miles of bridges in its advertising, including four bridges over the Mississippi, one over the Missouri, and one over the Saint Lawrence. 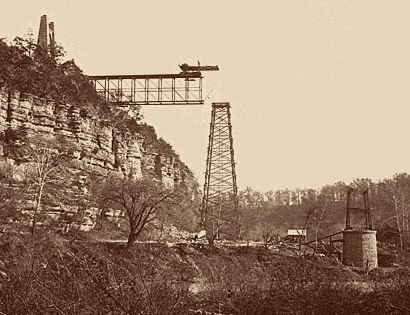 Shaler was known for innovative solutions to engineering challenges. 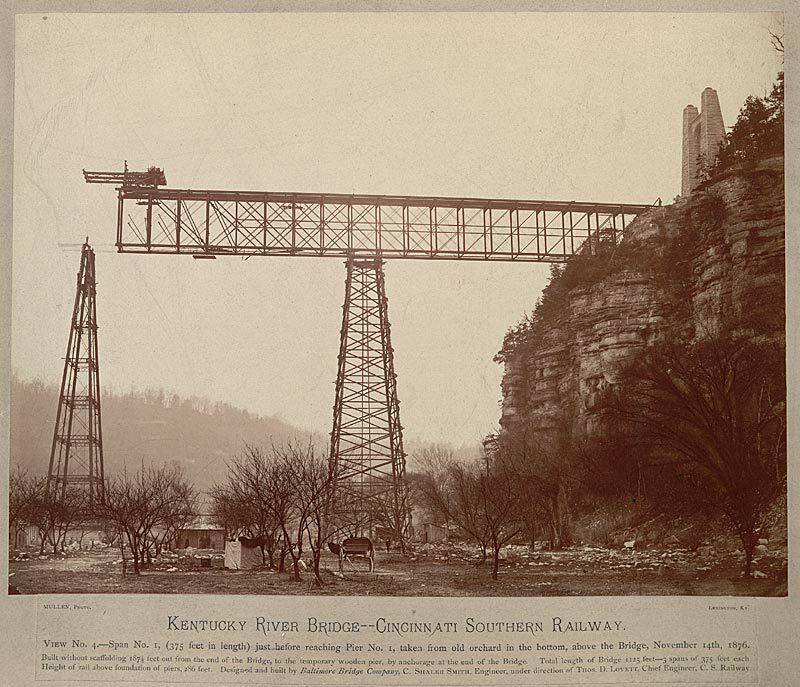 His use of a cantilever design for the bridge helped solve the difficult construction challenge of the 275 feet deep gorge of the Kentucky River. The cantilever meant that minimal scaffolding was necessary; the arms of the bridge could be built out from the piers, balancing each other without the need for falsework. When the bridge was completed in 1877, it was not only the first cantilever bridge in North America, but also the highest and longest cantilever in the world. 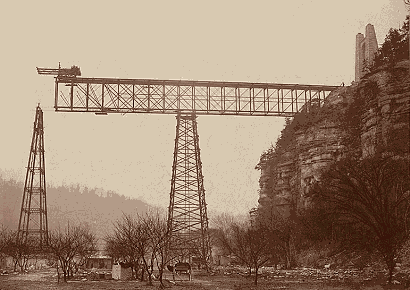 The completed bridge stood 275 feet tall and spanned 1,125 feet. Until the early 20th century, the bridge held the record as the highest bridge over a navigable stream. 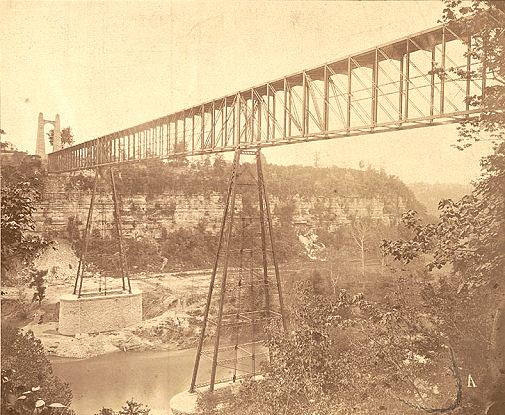 High Bridge, as it became known, ushered in the era of modern bridge building. 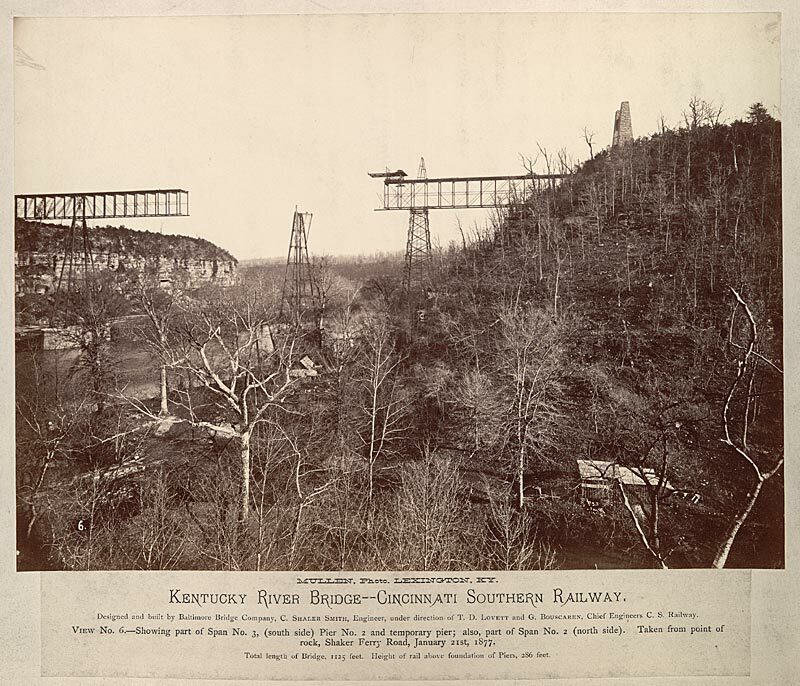 The engineering marvel was dedicated by President Rutherford B. Hayes in 1879. The American Society of Civil Engineers designated High Bridge as an engineering landmark in 1986. A model of the bridge can be found in the American History Museum of the Smithsonian Institute. 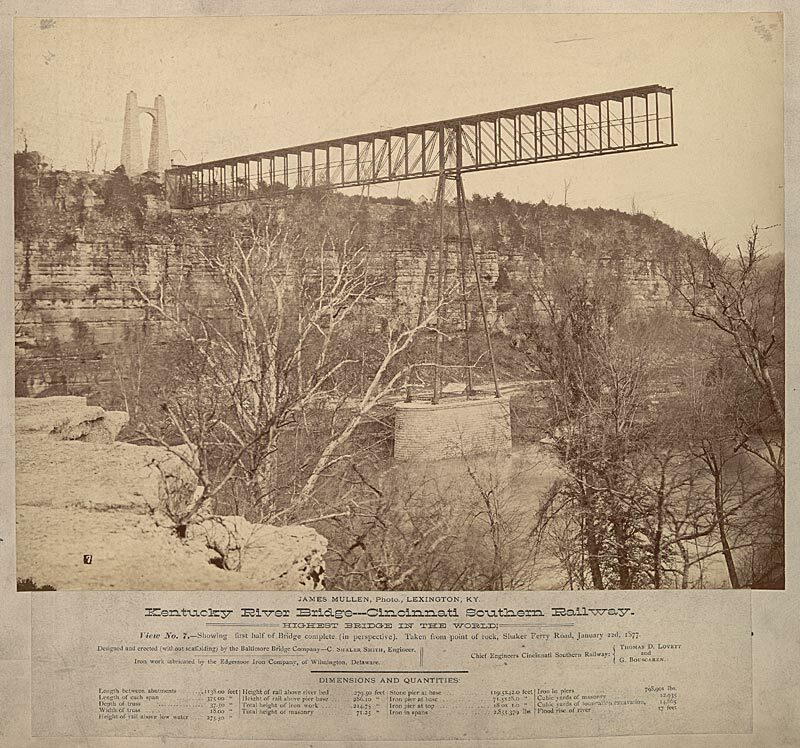 The following photographs were taken by James A. Mullen in 1876-1877 during the construction of High Bridge. 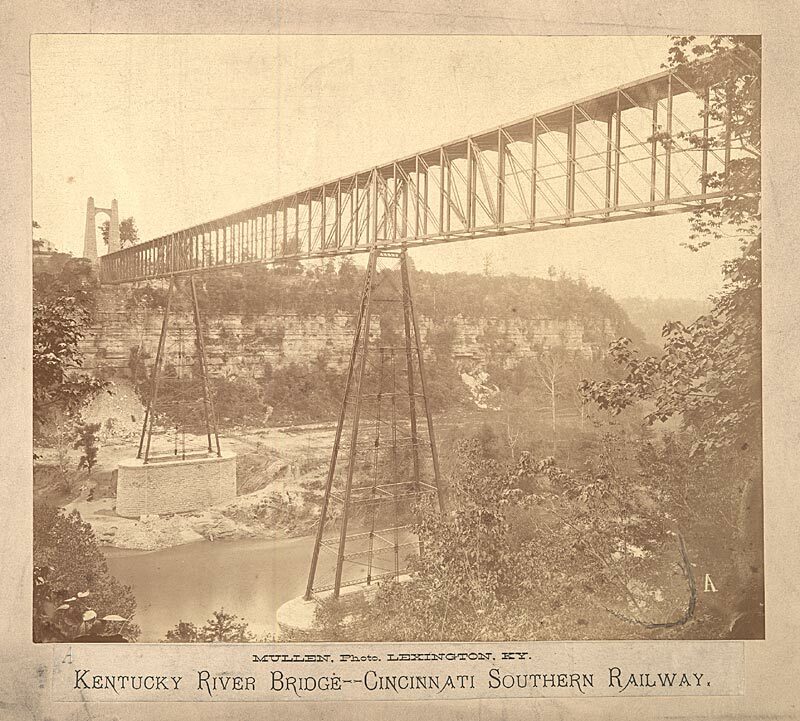 They make up the High Bridge Collection provided by the University of Kentucky Libraries, Special Collections and Archives. Half of Span No. 1, just before reaching temporary wooden pier, (showing north pier), taken from river edge, south side of river, October 25, 1876. Span No. 1 (375 feet in length), just before reaching Pier No. 1, taken from old orchard in the bottom, November 14, 1876. Showing part of Span No. 3, (south side) Pier No. 2 and temporary pier; also, part of Span No. 2 (north side). Taken from point of rock, Shaker Ferry Road, January 21, 1877. 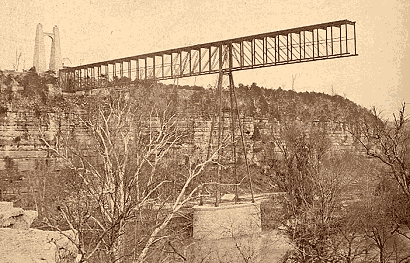 Showing first half of bridge complete (in perspective), taken from point of rock, Shaker Ferry Road, January 22, 1877.